The 2017 Texas Outlaw Challenge has several new and highly anticipated things in store for everyone this year. The Texas Outlaw Challenge has always been Texas sized but nothing that was great can remain great unless it brings changes and improvements. This year numerous changes will prove to make this event even bigger and better. We’re happy to bring you all the details you’ll need to make your attendance this year unforgettable! Check out the cheat sheet below! A brand new pool party at the Galveston Yacht Club with an extra card for Gunslinger Poker Hands! With a bigger boat area, new bars, and a live band, this is going to be the hot spot for Thursday night! 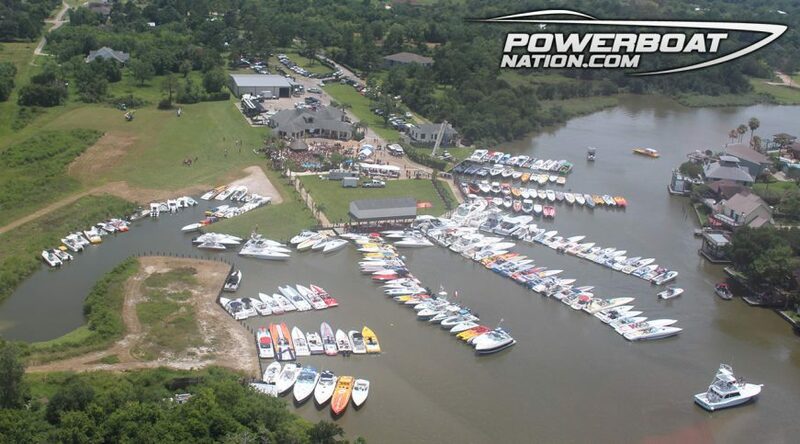 The event, now located in Clear Lake, is open to all boats 28’+ and the entire lake has been declared a no wake zone, allowing for much more spectating. The event is also offering all previous class shootout champions complimentary entrance to the challenge as well has a comped 2 night stay for the Desert Storm competitors that weren’t able to run because of the bad weather. It’s the 10th Anniversary and everything is complimentary… Need we say more? Dubbed the Outlaw Blacklist Party, this special invite event is limited to only 400 tickets and features many exclusive festivities including live action casino tables. There will also separately be the the Miss Outlaw Bikini Contest as well as the SuperCar Showdown. From the Legend Marine Pool Party at the Harborwalk, to the afternoon waterfront party at Top Water Grill, and finishing up with the High Roller Gold Prize for the run valued at 10k, this day is all about having fun on the water. This rally features 200+ motorcycles and a top prize of $1,000! We’re sure you’ll be able to find these guys… Just listen for that insane roar!